Peggy West is your typical Democrat. That is to say, she is at once incredibly ignorant and incredibly demagogic. She doesn’t have to have a valid reason to oppose the Arizona law. After all, she is a liberal: what part does she possibly have with “reason”? MILWAUKEE – The Milwaukee County Board spent part of the day debating a measure that would call for the county to boycott doing business with companies in Arizona. 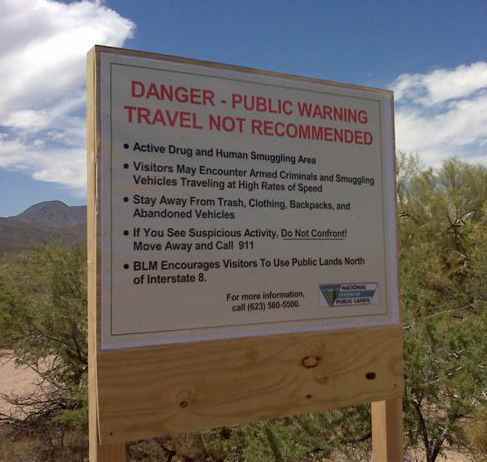 Communities around the nation have passed similar measures in response to a law in Arizona that makes it a state crime to be in the country illegally. There was an odd moment during the debate when Supervisor Peggy West stood up and seemed to be confused about her geography. “If this was Texas, which is a state that is directly on the border with Mexico, and they were calling for a measure like this saying that they had a major issue with undocumented people flooding their borders, I would have to look twice at this. But this is a state that is a ways removed from the border,” West said during debate. Make no mistake: this is no dumber than any other reason liberals have given to attack the Arizona law. The only difference is that this particular reason can be refuted with a globe or a map that would likely be found in any kindergarten classroom, whereas many of the other stupid reasons require the ability to read adult-level materials, such as the Arizona law itself. Reading the ten page law was too much intellectual effort for Obama Attorney General Eric Holder. So he just demonized the law from a brain-dead ignorant dumbass level. Frankly, I have more intellectual respect for Peggy West. I mean, maybe she’s smart enough to realize that she’s too stupid to be the president or the attorney general, unlike Barack Obama and Eric Holder. And that would make her smarter than both of them.